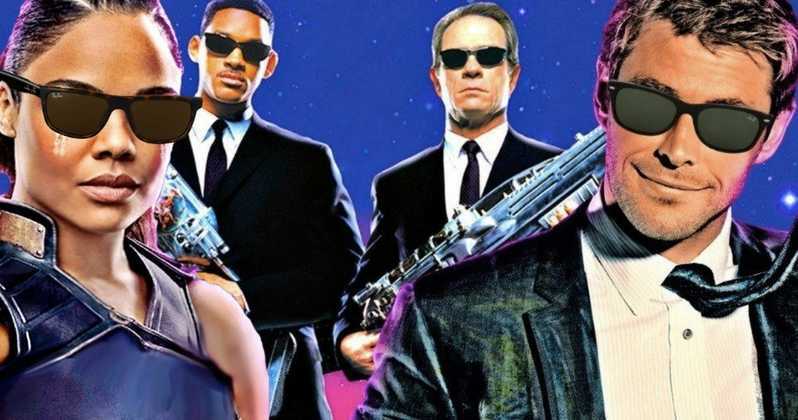 Whether we asked for it or not, we're getting a Men in Black spin off. The latest entry in the franchise will see Chris Hemsworth and Tessa Thompson taking over as the new primary characters in a new movie that will further expand that universe. Tommy Lee Jones and Will Smith will not be reprising their roles in this movie while other smaller, support players will be back. This latest photo from the movie shows them crossing the desert with umbrellas. There is no context for the photo yet but is just another tease at what's coming from the dynamic duo that last worked together on Thor:Ragnarok.